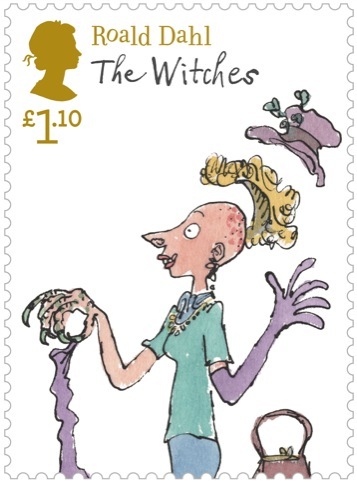 Launching today, the stamps mark the 30th anniversary of publication of Dahl’s book The BFG. 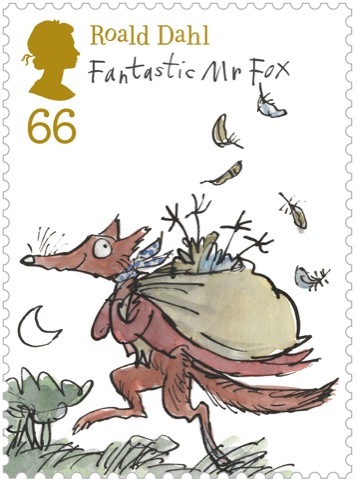 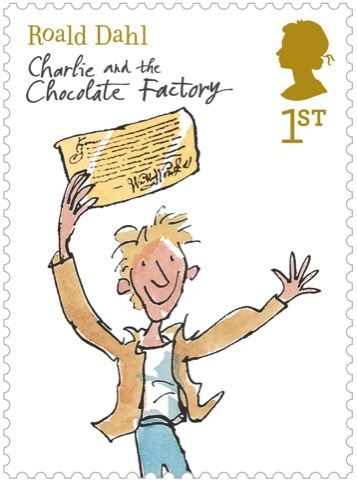 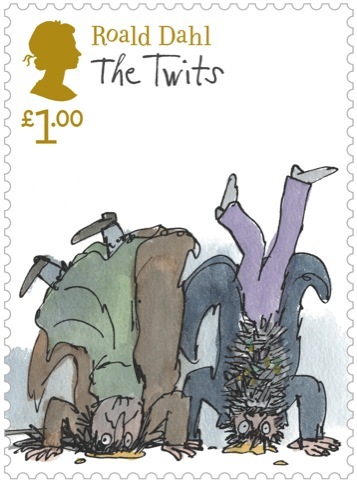 They also feature archived artwork by illustrator Quentin Blake from Matilda, Fantastic Mr Fox, The Twits, James and the Giant Peach, The Witches and Charlie and the Chocolate Factory, with Charlie Bucket and his golden ticket on the 1st Class stamp. 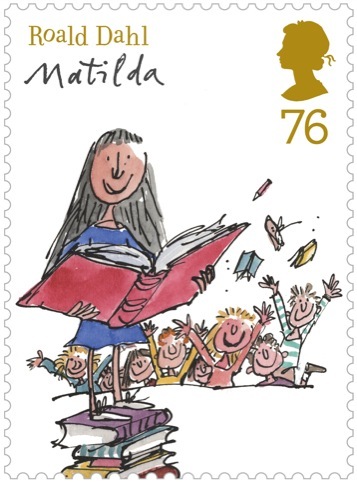 Magpie has a long-running relationship with Royal Mail, designing a set of Winnie the Pooh stamps that were launched last summer, and has been working on this new set for a year. 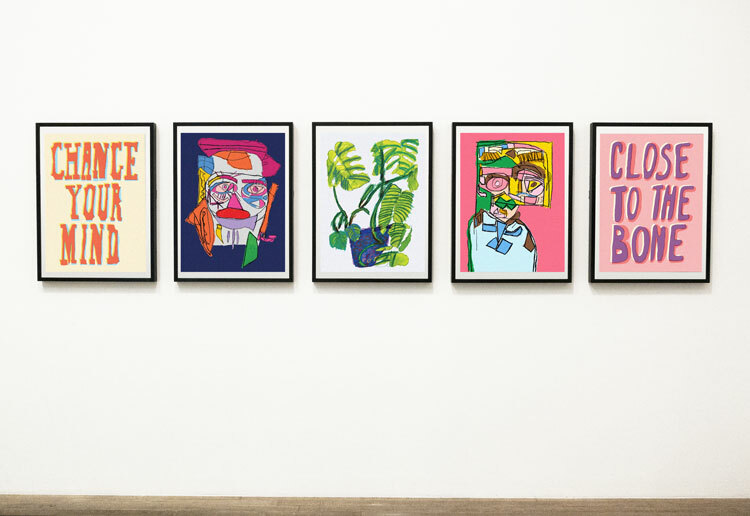 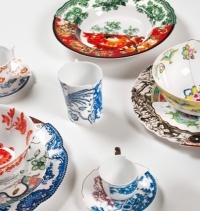 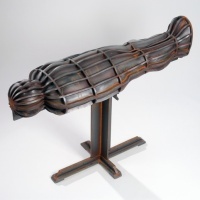 Jamie Ellul, Magpie’s creative director says that the consultancy worked closely with Blake, pulling out ‘really good images that represent the book titles’ as well as commissioning a special illustration of the books’ characters sitting at the hut at the bottom of Dahl’s garden where he used to write his books. 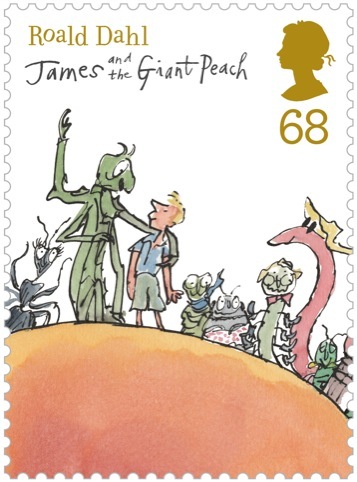 The project also included creating a stamp book, collectors’ presentation packs and a commemorative mini-sheet of four BFG stamps.